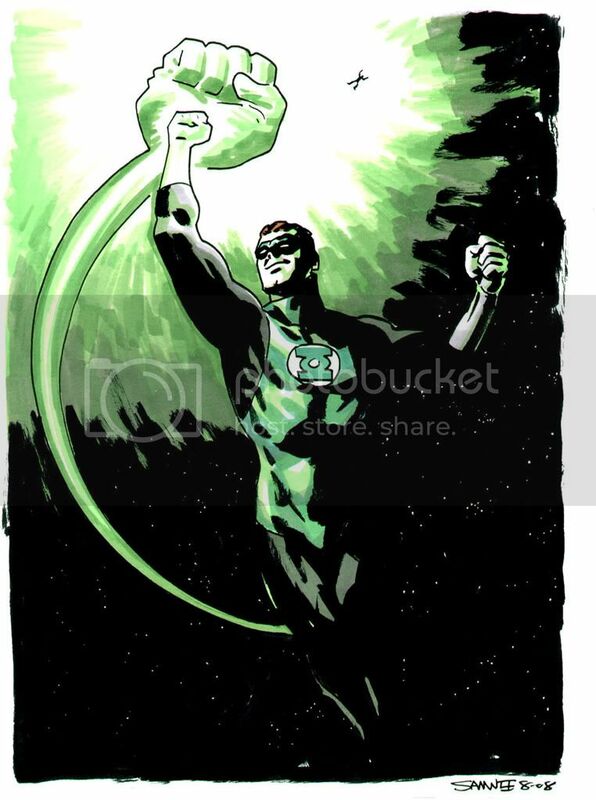 Here's a shot of Hal Jordan putting that old "if they're too powerful, punch 'em in to space" rule a lot of superheroes follow. Why no pimping? Doesn't DevilSlayer come out today? This should be all about the pimp hand telling us to respect you and buy your books. Check out today's OTHER post. Yeah that's right, 6 posts in one week. Word. I love it when you break out the color Chris. Really nice job on this one!